I am a typical millennial. 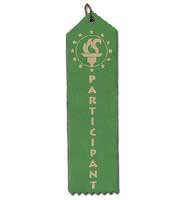 And, as a millennial, I feel obliged to inform you that, in general, what you've heard about us is true: I wish I could wear flip-flops to work, I can text message with my eyes shut while talking on the phone and instant messaging a coworker, and, it's true, I have more than my fair share of "participation awards" busting out of shoeboxes at my parents' house. Awards that I received for just that—participating in an event in which I couldn't quite muster up the muscle to eke out a win. However, as one of 80 million millennials—those individuals born between approximately 1982 and 2000—I also feel a pressing need to tell you that we millennials are a different breed of worker: We are not "business as usual," we don’t take no for an answer, we are tech savvy and we have loyalty issues. We expect to change jobs many times over the years, and we don't see anything wrong with that. But when we get into a job where we see potential staying power, we expect to move quickly through the ranks, surpassing menial entry-level tasks and moving right on up to managerial roles or executive positions. So when the Hotel & Motel Management team visited the InterContinental Cleveland on Wednesday, July 9, I wasn't surprised when GM Campbell Black said the hotel is having a tough time recruiting for housekeeping and other back-of-the-house positions. As he said, students are coming straight out of hospitality school and expecting to be a GM. Millennials don't want to pay their dues—we want positions to be handed to us. Call it delusions of grandeur, call it naivety, call it a generation of children whose parents told them they could be whatever they wanted to be. We millennials have aspirations for success—and many of us don't see success as starting from the ground level. The question becomes, then, how do you recruit for these not-so-prestigious positions? These jobs—the housekeeping staff, the wait staff, the front-desk staff—are critical to keeping a hotel running. These jobs cannot be outsourced to another country for a cheaper price. They must be filled here, and they must be kept full. -Keep the lines of communication open. We want to give input, and we want to get feedback. We want to always have tabs on how we're doing, whether it's good or bad. -Keep work fun. I realize that not all situations call for a party atmosphere, but we're not at work just to get a paycheck. We want to make friends, and we want to enjoy our time—after all, we spend about half of our waking hours in the office. Offer company outings or after-work get togethers. -Keep the work coming. We don't like to be bored, and there's only so long our attention span can last on certain projects. Instead, try giving your millennial worker a little more responsibility. That way, he or she will feel appreciated for the work he or she has done so far, but won't be so quick to expect a promotion. In this case, a little goes a long way. This drive we millennials have has many suggesting that we could very well be the next "great generation" for a good portion of workplace positions. The issue is—will this workplace include the hospitality industry? Do you guys have bios on the people posting on this site? It would help me to know what sort of experience each poster has in the hotel industry. Right now, most of you are faceless writers to me. Good point. I'll talk to the team today, and ask everyone to share a little about themselves.